The overall daily trend is bearish, especially after breaking below the 200-day moving average which coincides with the 38.2% Fibonacci at 0.9182. RSI and MACD are in bearish territory, signaling further downside potential. Also the tenkan-sen and kijun-sen lines are negatively aligned and the Ichimoku cloud is falling, highlighting the bearish market structure. 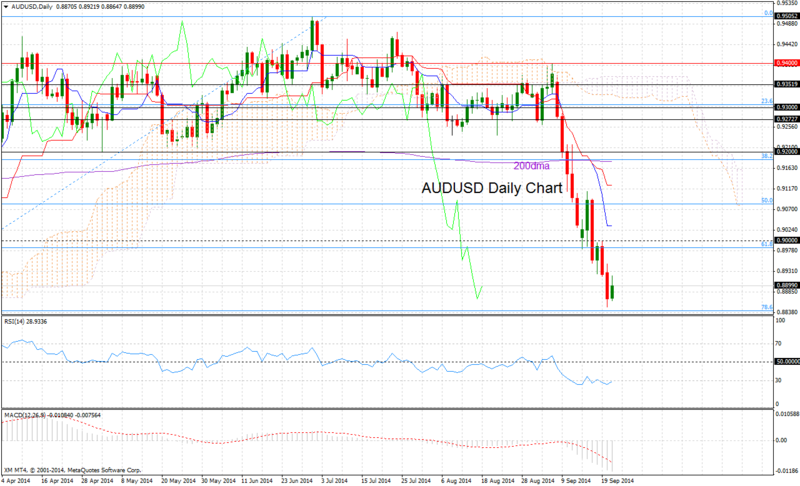 AUDUSD found support just above the 78.6% Fibonacci retracement level of the 0.8659 – 0.9503 upleg, at 0.8842. However a break below this level would accelerate a move lower towards the January 24 low (0.8659) and thus retrace 100% of the upleg. 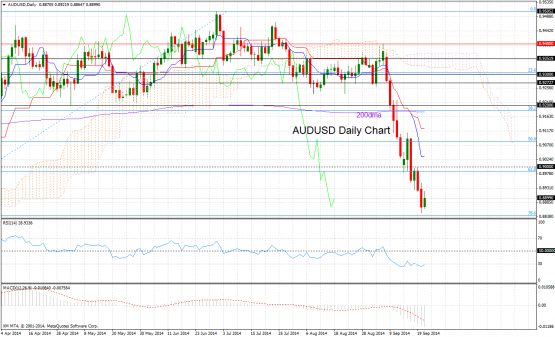 To the upside resistance lies between 0.8985, the 61.8% Fibonacci, and the key psychological level of 0.9000.